The Wausau Elks Lodge was founded in 1892 with the purpose to further charitable, educational, patriotic and benevolent activities. 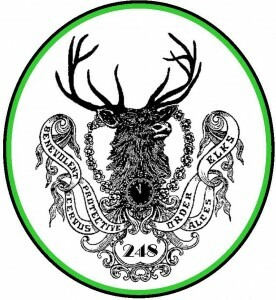 The Lodge and Club are housed in what many consider the finest Elks Facility in the state of Wisconsin. Built at 414 Scott Street in 1923 by the Wausau Elks Lodge members, for the sole purpose of serving as their Lodge, it now serves as a landmark within the downtown Wausau area. The historic Lodge Building is blessed with the style of early 1900 charm and richly blended with many modern conveniences. We have continued to upgrade our building over the years with kitchen, bathroom, elevator, heating and cooling and other building upgrades. For more formal occasions, the top floor ballroom graces the lodge with a full size 4800 square foot hard wood dance floor with seating for 400 people. An adjoining bar provides refreshments for private parties or lodge events. An elegant stage offers ample space and acoustics for a small orchestra, band, or DJ. The entire facility has been remodeled and major projects finished in early 2002. The building has been restored to its original grander of 1923 and enhanced with modern conveniences of efficient heating and cooling, an elevator at street level that services all floors, as well as adding handicapped accessible restrooms off the ballroom floor.